I recently had a ‘light bulb’ moment while attending a Play Therapy Workshop at Deakin University. It was the kind of moment where something makes so much sense that you can’t understand how you didn’t see it sooner and why someone else isn’t already talking about it. I was listening to two fantastic speakers talk about the importance of play for development and how children who may have missed going through developmental stages, perhaps due to trauma or disability, are likely to have ongoing social-emotional problems. The good news was that these children can often be taught the play skills they have missed to assist them to make progress in their social-emotional skills. 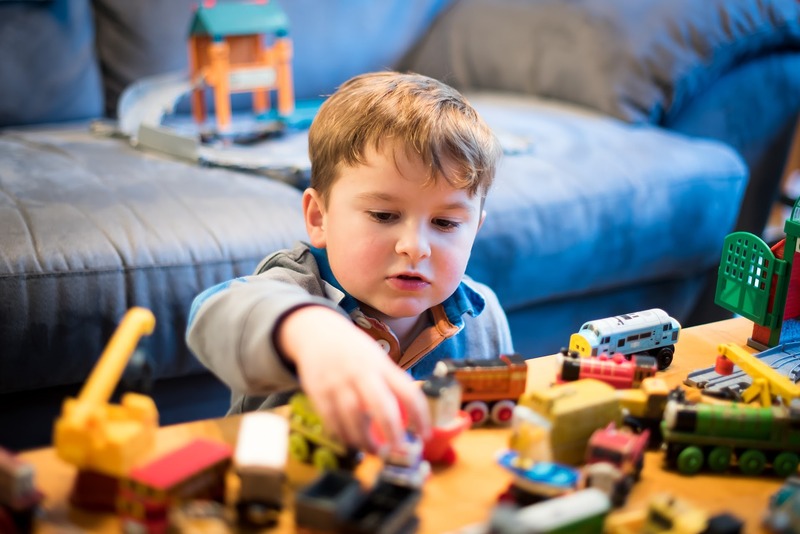 Then they introduced the idea of Non-Directive Play Therapy, a type of play therapy in which the child is given the opportunity to be fully autonomous in the session and choose whatever they want to do, while the therapist supports and engages them on the child’s terms – no questions, no demands, no direction. This type of play therapy allows the child to explore their innermost thoughts and feelings through play in a safe, secure environment with a trusted adult, and can lead to significant improvements in emotional regulation, social skills and relationships outside the therapy room. Then the penny dropped – I know a number of children who have uneven development, have social-emotional difficulties and don’t cope with demands! They are my clients with Pathological Demand Avoidance. Then I wondered – Could Non-Directive Play Therapy be the next step in supporting my clients with PDA? It seems logical that a therapy that allows a child to be fully in control and free of demands would be perfect for children who are hardwired to avoid demands at all cost. One of the most notable things I have found when working with these beautiful children is that they can become really good at understanding anxiety and emotional regulation, and knowing what they should do to appropriately manage their behavior, but they are so dysregulated and heightened that they just can’t access that information to manage their anxiety when they need to. It really makes sense to me that supporting children with PDA to process their emotions and experiences in an indirect way and in a non-threatening environment could be an effective way to assist these children to bring their social-emotional development to a level where they can consolidate it with their knowledge and make positive changes. Obviously all children are different, and one therapy is not likely to work with all children, but learning about Non-Directive Play Therapy has given me hope that this is another tool we can used to reach a group of children that are notoriously difficult to engage. I have decided to embark on my own adventure to further my knowledge and expertise in Play Therapy, and have enrolled in the Master of Child Play Therapy at Deakin University. My hope is to conduct my research project on “Non-Directive Play Therapy and PDA”, and to be able to share my findings with families and professionals to increase understanding and supports for the PDA community. In the meantime, I am happy to be able to support my clients with PDA and their families, and to continue to learn from them as the real experts in the field. If you or anyone you know has experience with Play therapy and PDA, I would love to hear from you. You can contact me at raelene@okeydokey.com.au. Previous Post: Removing the word ‘should’ from our vocabulary when it comes to our kids.